You will notice that a timer and pause button showed up next to the record button, also a new red circle will appear next to the webcam button. This indicates that the meeting is being recorded. The pause button will allow you pause the recording and then continue it; this will allow you to record only the most important parts of a meeting to make rewatching easier. However, you can also do this by slicing an existing recording. 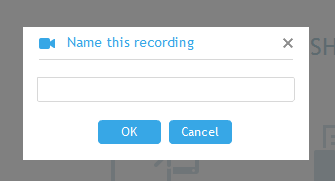 To stop recording click on the record button again. 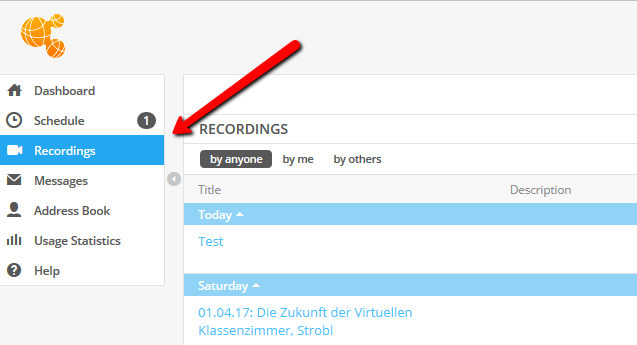 This will automatically save the recorded parts of the session into a file and store that in your account center. To learn more about editing, sharing and downloading your recordings, refer to our Share, edit and download recordings articles.